YOU could say Valene Kane is an actress prone to perilous situations – being kidnapped by a crazed Jamie Dornan in The Fall is only one of them – but in her latest role, the Newry-born star of Thirteen and Rogue One: A Star Wars Stor', faces danger of a different kind. In new BBC one-off drama Counsel, Kane steps into the killer heels of "alpha female" Olivia, a barrister who complicates her professional and personal life when persuaded to take on the case of a schoolboy client played by newcomer, Adam Gillian. "On the surface, Olivia has it all: a powerful career and a husband [Declan Conlon] who is in the running for Lord Chief Justice – but she is growing tired of playing second fiddle..." teases the actress, speaking down the line from London where she lives with husband and fellow actor, Ed Cooper Clarke. "When we meet Olivia, she's sort of at a crossroads and doesn't realise she is a little bit dead inside, so, when she meets this young boy, he ignites this free spirit inside her; a free spirit she didn't realise existed." The actress, who is currently filming HBO crime series Gangs of London and recently walked the red carpet at the Sundance Film Festival in the US – for the premiere of her latest movie, Sonja: The White Swan – was delighted to be back in Northern Ireland for the project, commissioned through the BBC's New Perspectives initiative. Penned by newcomer David Allen and directed by Declan Recks (The Truth Commissioner), Counsel showcases the emerging talent of Gillian as 18-year-old Gareth Fleming, a motherless young student whose educational future hangs in the balance after his father suffers a stroke and is unable to pay mounting school fees. "It was so good to be back home again and involved in this project," Kane enthuses. "Everyone working on the drama wants to see more work like this – we were so excited because we all grew up here and felt very connected, whether we come from Northern Ireland, or from the south. "I've read a lot of scripts recently with good female leads, but not female-centric stories. Why I loved Olivia's character in Counsel is essentially because it's her story... it's the confusion that a woman of a certain age faces when she hits a certain point in her life – her career's going really well, but does she want kids? What's next? Those questions relate to everyone, I think, and that's what drew me to it." Describing herself as "a bit Type A personality, a bit of an alpha female" herself, the London Central School of Drama-trained daughter of former Down county Gaelic footballer and coach Val Kane says she understood that part of Olivia – even though she is "more disorganised, messy and bohemian" in real life. But, understanding the role from the inside out is something the actress, who also starred in recent BBC drama Death and Nightingales – again with Jamie Dornan – takes completely to heart. She makes 'mood boards', puts together Spotify playlists and keeps a scrapbook to help identify with her character long before the cameras start rolling. "I use artistic mood boards for every character and I'll keep a scrapbook with pictures and textures to help me feel what they feel," Kane explains. "For the role of Olivia, I also worked very closely with the costume designer because I had a clear idea of how I thought she would dress and want she would want to wear. "My father-in-law is a High Court judge and so I asked him lots of questions too... it's a world I'm fascinated in anyway, the legal world. I think Counsel has great legs; it definitely has the potential to be made into a series." But even with such fastidious preparation, born out of love for the craft she has pursued since teenage years with the National Youth Theatre, the now 32-year-old is still reluctant to watch herself on screen. "He's more of a writer [than an actor] now, which is better for us, as he's the person in one place, writing, and I'm the one who travels. It helps, I think, that we're in the same profession, as he understands how I have to drop everything sometimes when an acting job comes up." 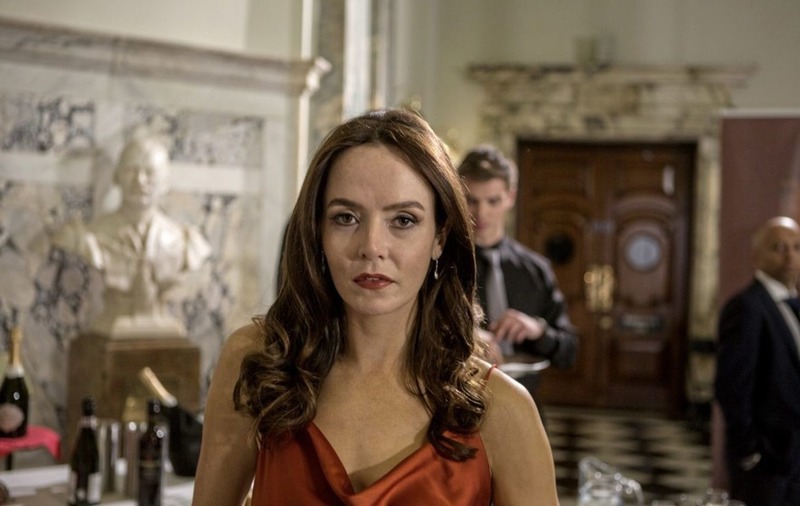 Kane, who suddenly found herself reading for high profile roles following her compelling portrayal of Rose Stagg, the ex-girlfriend of serial killer Paul Spector (Dornan) in Allan Cubitt's The Fall, is delighted that now her dream career – in defiance of the initial wishes of her parents who wanted her to attend university and study law for real – is taking off. As well as Sonja: The White Swan – a film about Sonja Henie, Olympic figure skater and later Hollywood actress – Kane is also awaiting the general release on another movie, Profile, in which she plays a British journalist who dons a hijab to investigate the phenomenon of young women being radicalised online. Based on the 2015 non-fiction bestseller, In The Skin of Jidhadist, by a French journalist who now has round-the-clock police protection, Profile won the Panorama Audience Award at the 68th Berlin International Film Festival and has been her "biggest highlight" thus far. "It's based on a true story about a journalist who had a fatwa out on her head after her story broke so, initially, my agents were kind of wary," Kane tells me. "But, I trusted the director, the producer and in the whole process. "We ended up writing a lot of the script together and it was a very involved process in the editing suite afterwards. It felt very much like a producer's role – and that's something I think I'm heading towards in the future. "There was a long period when I was really struggling, so it's great to be living in London and able to work there as well now on Gangs of London. It's the first time in my 10 years of acting that I get to stay in my own house and go to my own bed. That makes me happy." 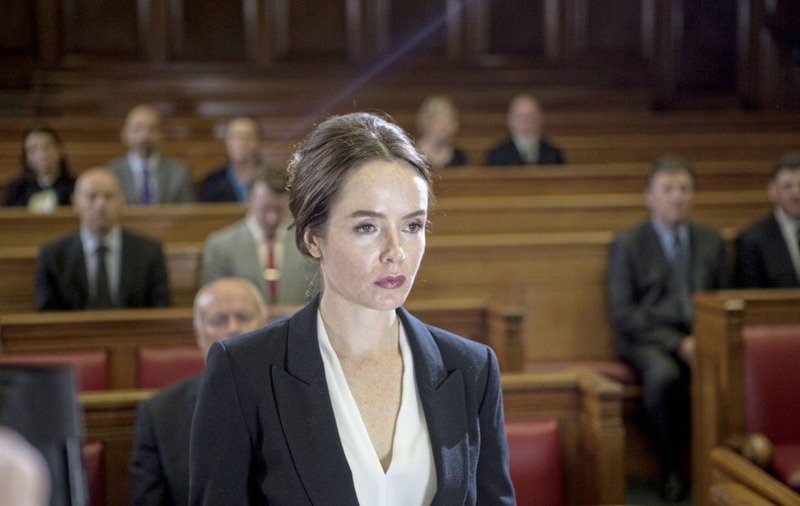 :: Counsel is on BBC One on Monday April 15 at 9pm.